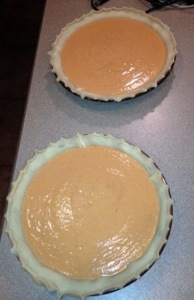 Thanksgiving isn’t complete without a pumpkin pie right? 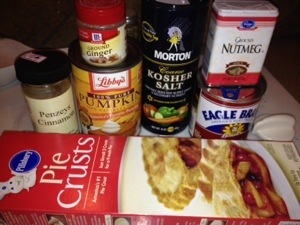 The hubby is our pumpkin pie cook around here and man does he make a delicious one! This is a trusted recipe because well… my husband isn’t much of a cook and it turns out great every time. He doubled this recipe to make two. Heat oven to 425 degrees. 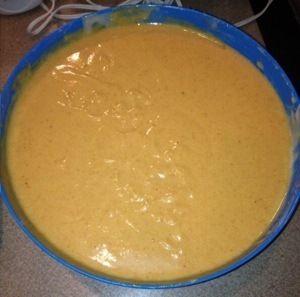 Whisk pumpkin, sweetened condensed milk, eggs, spices, and salt in medium bowl until smooth. Pour into crust and bake 15 minutes. Reduce oven temperature to 350 degrees and bake an additional 35 to 40 minutes or until knife inserted 1-inch from crust comes out clear. Enjoy!